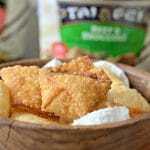 These Homemade Cream Cheese Wontons are easy to make and are perfect when you are in a hurry. Even though I am from Mexico, and I love Mexican food, I also love trying out recipes from other parts of the world as well. One of my favorite types of cuisine has always been Asian. Whether it is Chinese, Thai, or Japanese, there is always something good to try. Now that Summer is upon us, it is important for me to have lots of great, quick, and tasty meals that I can make for my family. I don’t like to sacrifice taste or quality for speed, so when I buy pre-made food from the grocery store, it has to be from a trusted, quality brand. I also like to make some homemade sides to go along with any pre-made entrees. 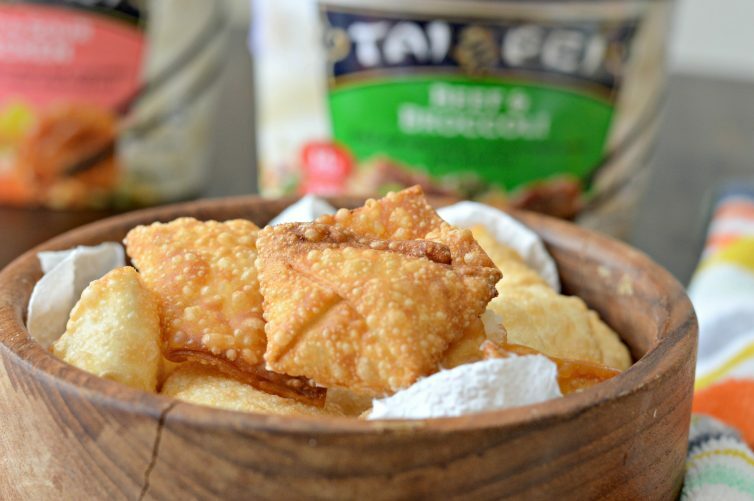 One of my top choices for a quick meal is to pair Tai Pei entrees with some easy to make cream cheese wontons. 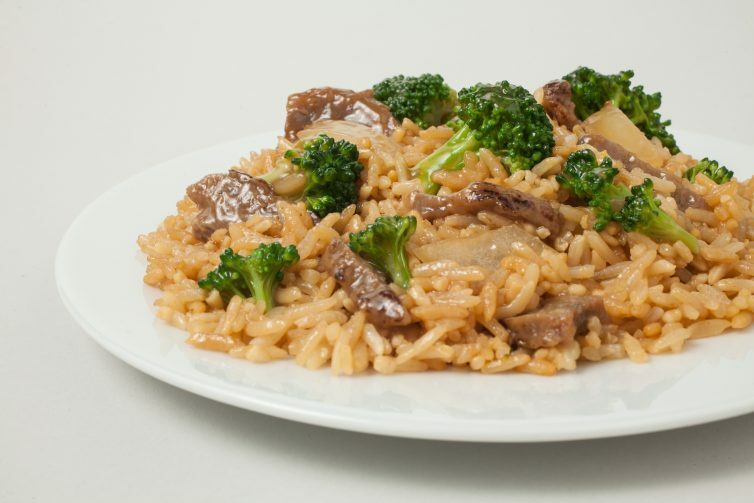 Tai Pei features enticing, Asian flavors with each product, and part of that has to do with the flavor-infused rice. Each grain of rice is infused with their carefully crafted signature sauces, made from recipes collected across the continent. 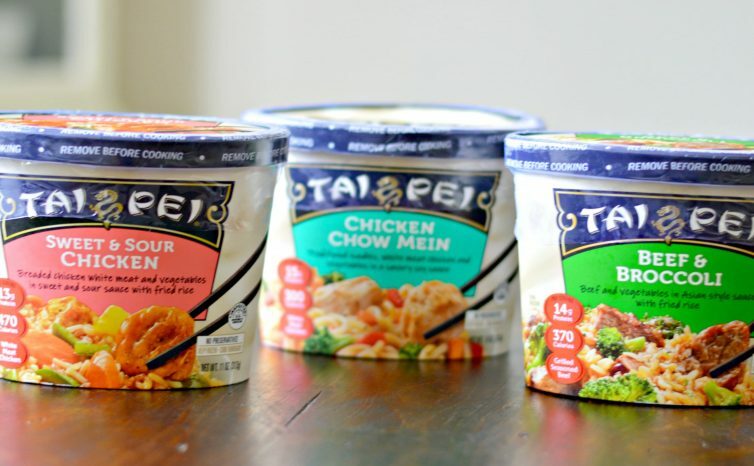 Tai Pei also has new packaging which was designed to provide a perfect portion-size and also allows room to steam all of the tasty ingredients. I especially like the fact that Tai Pei entrees include real ingredients and no artificial flavors, colors or preservatives. Check out the video below to learn more, and find out where you can buy some of these great Tai Pei entrees here. 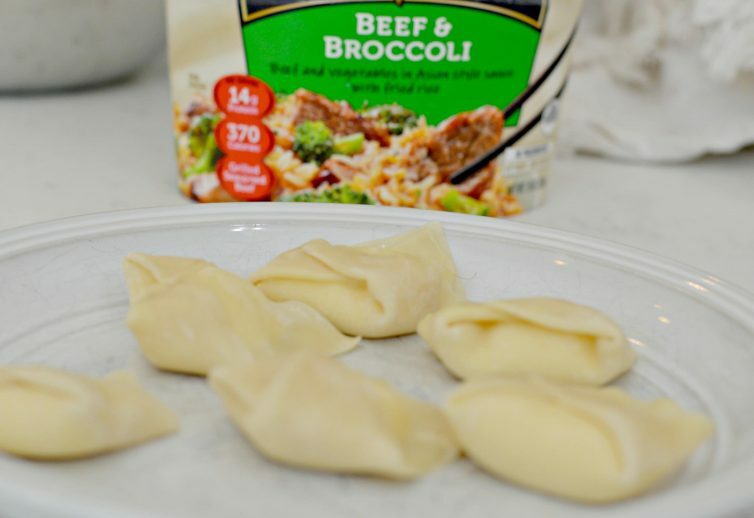 To go along with these entrees, I decided to make these easy cream cheese wontons also. They are so easy to make and they are a perfect side dish. All you need is cream cheese, powdered sugar, wonton wrappers (look in the produce section near the tofu to find them), egg yolks, and some oil for frying. I made these and my family just couldn’t get enough. They will definitely be on the menu again soon! Which is your favorite Tai Pei entree? Let me know in the comments below. 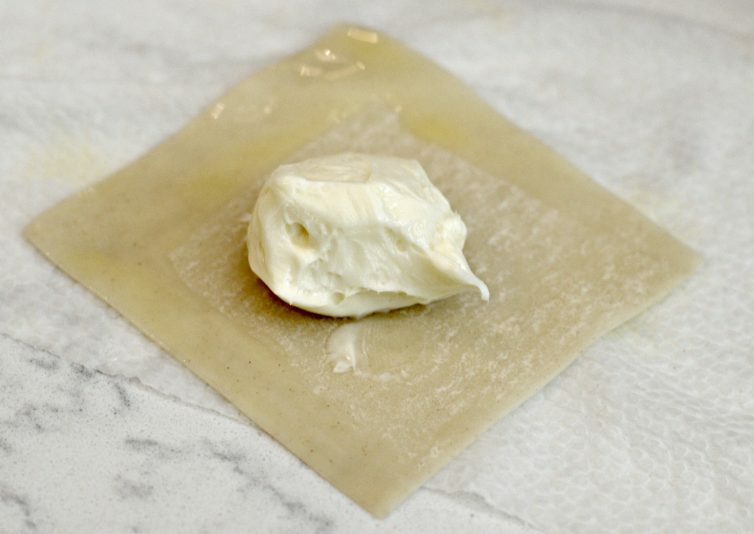 Add 1-2 teaspoons of the cream cheese mixture in the middle of the wonton wrappers. Brush egg yolk on the edges and fold over, adding more if needed to seal. Charbel, these look so good! And the recipe is so simple I might actually have time to make them. Thank you! Are these sweet or savory? Based on the powdered sugar I’m assuming sweet. Any suggestions for savory? Hi Renee – These are sweet, but not too sweet. I have never made savory ones, but you could still probably use cream cheese and then season it up a bit with salt and maybe add some chopped green onions. I would love to hear other suggestions as well!